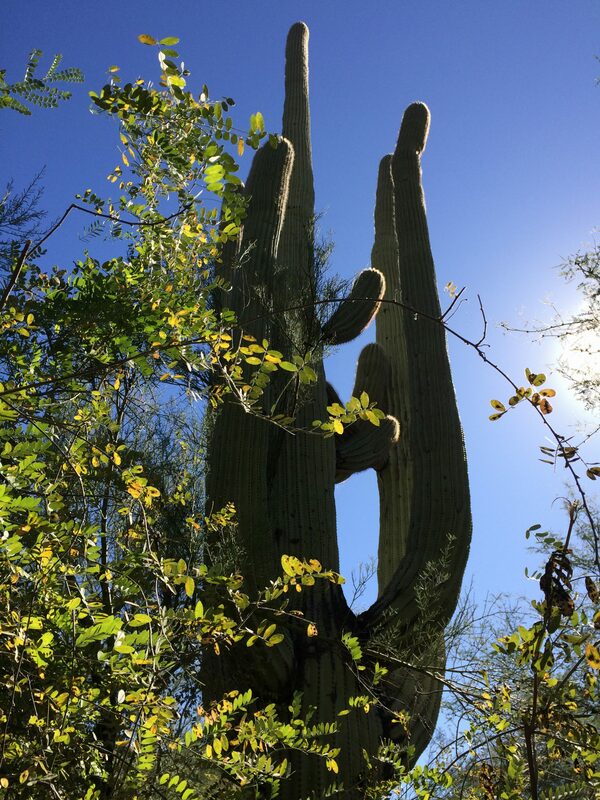 I spotted this stunning Saguaro on the path at Loews Ventana Canyon Resort that led to the waterfall. Women Writing the West aims to create a literary explosion comparable to the Southern literary renaissance of the 1930s. Any setting west of the Mississippi River qualifies. Their annual October conference travels year to year to historic Western towns: Tucson, Arizona this year, Walla Walla, Washington next year. I’ve been looking for a writing community that championed the spirit of the West. I think I’ve found my tribe. Like all conferences, we were bleary-eyed and brain-dead at the conclusion. Back-to-back seminars, awards ceremonies, entertaining and knowledgeable keynote speakers–every moment was gold. I especially enjoyed anthropologist Maribel Alvarez who spoke about intangible heritage. How do we preserve subtle expressions that give life meaning, the way a woman’s body moves when she throws a tortilla or handpieces a quilt? Like a diligent apprentice, I usually come home and write up my notes. But my outsized task list bids for my attention so instead I am organizing my notes and noticing what bubbles up. I find that some conference tidbits have broader application than writing. In Writing What You Know: How to Turn Personal Experiences into Publishable Fiction, Nonfiction, and Poetry author, Meg Files, says that “human creatures own the special ability to make sense in their minds.” I believe we all seek order and understanding in whatever work we do. So I offer you some conference gems in hopes that some might apply to whatever you are working out in your mind. 1. Power through the task list that requires attention to detail (marketing, technical issues, record keeping). 2. At the point of frustration, send the problems over to the right brain to incubate and go for a walk. 3. Choose a time and perhaps a different place to set your mind to the creative work. Let it flow. Solve the problems later. Meg Dobson and Patricia Bailey presented seminars on Young Adult Fiction. I have a work-in-progress, Pastor Jerry and Jesus at the Beanpunk Cafe, that seems to want to be YA. The most valuable thing I learned is the difference between Middle Grade (8 to 12) and Young Adult (12 to 18 and up, depending on who you talk to). Middle-Grade kids think in concrete terms. Their world is small. YA people are capable of abstract thought. They are aware of value systems, morality, and senses of empathy, shame, and guilt. They think inside their heads. Is this not good to know, not only as a writer but as a parent and a grandparent? Two CPAs gave us a tutorial on taxes for authors. Gulp! For tax purposes, your work is either a hobby or business. If you decide to run it like a business (even though you don’t expect to make gobs of money), keep good records to show your intent. That would include a business plan and an accounting ledger. If you are filing a schedule C as an individual proprietor, open a separate business checking account and credit card. That helps you distinguish business expenses from personal expenses and demonstrates your business-like intent should you be questioned by the IRS. The CPAs recommended reading IRS publication #463. It answers questions about deductible expenses. What have you learned that has moved you forward in your work? I have four giveaways of the second edition of The Sheep Walker’s Daughter that expire November 7. Leave a comment by November 3, and I will choose four winners at random. Your book will never expire, just the period in which you can download. Is was great to meet you in Tucson, Sydney. Happy writing! Good tid bits, Sydney. As always, thanks for sharing. Lately, I have been editing and working on marketing at my desk. When I am creating a new chapter, I sit in my recliner. This seems to help make the most of my different thought processes! I know I need to learn more about the tax side of writing as a business. I keep putting it off. Thanks for the info you shared. The sections on Middle Grade/YA made me appreciate the work you do, Marie. Children’s authors, especially historicals, contribute greatly to the school curriculum. I’m pushing the envelope a bit because I think the YAs are maturing faster and staying in that category longer.